Regional Model Schools Teacher Leaders met for their second-of-four meetings this year in standard EdCamp style* to discuss instructional technology integration practices, regional and state trends, new learning tools, and NYSCATE conference takeaways. In the mix of popular tools being recommended was FlipGrid , an engaging social learning discussion platform that is a quick and easy way for students to create videos to express their learning and collaborate with others around the block or world. NYSCATE’s annual conference in November spotlighted the topic of equity and access for students living in urban environments and provided valuable insights on minority education in inner city schools. STEM director for Columbia University Teachers College and conference keynote, Dr. Chris Emdin, helped draw the parallel of how equity and access can both be identified in rural districts as well as inner city schools. The participating teachers agree with the importance of equitable access for all students and will be including this as a focus for ongoing conversations at the upcoming Model Schools’ meetings. Technology and Teacher Leaders are invited to join in the conversation at the group’s morning meetings in February and May by registering here ! * an organic and spontaneous approach to professional development wherein participants engage with others about areas of instructional technology integration practices that they are highly interested in or are struggling with and need guidance and input from others. 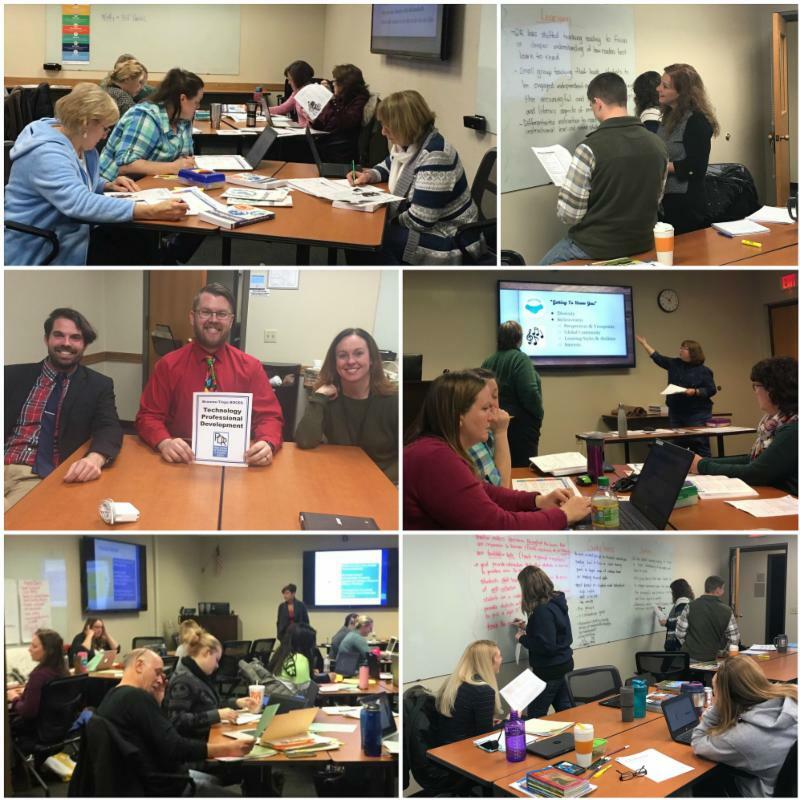 On December 1 st Regional Math Specialists, Paul Volkert and Cody Osterhout, joined 41 administrators from 13 districts for an awareness building session of the newly adopted Next Generation Math Standards (NGMS) . After a brief review of 2017 NYS math grades 3-8 regional and district performance data, administrators worked through the NGMS to identify major revisions, reflect on the improved clarity and format of the learning standards (e.g., coherence, more examples of each standard with illustrations, math practices tagged to standards, live-linked navigation of documents) and discuss how changes to the standards could impact instruction in the classroom. The group familiarized themselves with the location of the standards, as well as key supporting documents to include: Introductions, Grade-Level Crosswalks, and Snapshots. Introductions: describe the context for the revisions (i.e., why they were done, who was part of the revision process, and the expectations moving forward), as well as how to read the Standards document. Grade-Level Crosswalks: provide a side-by-side view of each current Common Core Standard compared to the revised Next Generation Math Standard to show similarities and differences. Snapshots: provide a summary of major changes and possible instructional shifts to consider when implementing the NGMS. The session also provided administrators with an opportunity to discuss small steps they can take in their districts to raise awareness about the standards and about how this new framework will impact student learning. Full implementation of the NGMS is slated for September 2020; in the meantime, regional professional development to support the new standards will continue to be a priority. In honor of the new arts standards, this month's resource spotlight focuses on a technology tool that improves dexterity, pencil grip, and drawing skills in the elementary classroom. OSMO Masterpiece is the newest add-on for Broome-Tioga BOCES Media Library's OSMO kits. 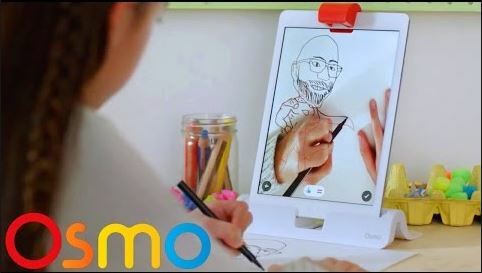 With an OSMO base kit and an iPad or iPhone, the Masterpiece can transform any image into easy to follow outlines - everything from drawings to letters and numbers. In addition to the drawing features, student can create a time-lapse video of their work, and add images to the Masterpiece gallery. The OSMO Masterpiece creative kit includes a creative board, dry-erase markers and storage pouch. The OSMO Masterpiece, OSMO base kit, and accompanying iPad minis (with the installed Masterpiece app) are available from our Media Library at http://medialibrary.btboces.org . Please contact Kristina Garcia at kgarcia@btboces.org if you need assistance with ordering the OSMO base kit or any other Media Library resource.